Step 1: Checkout with 1 per wheel you want refinished. (Ex: 5 wheels = Quantity 5). Step 3: Ship us your stripped down (no hardware installed) wheels. Step 4: We will refinish your wheel to a like new Cinder Finish. 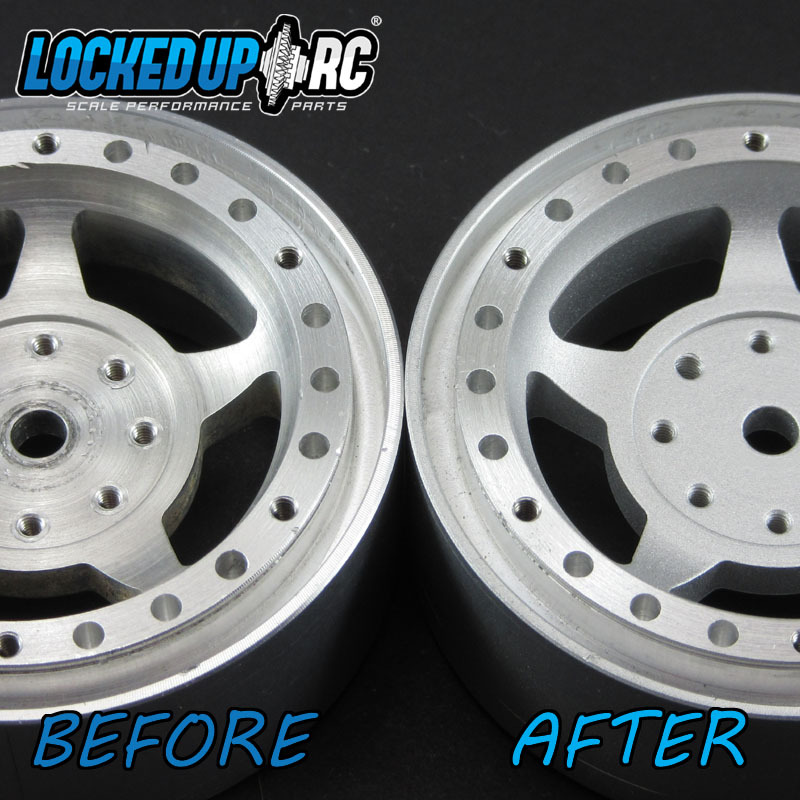 This service is only available for Locked Up RC wheels with a natural/raw aluminum finish. -If you require more than one service on the same wheel, we suggest using our "Complete 1.9 Wheel Services" to avoid duplicate shipping charges.